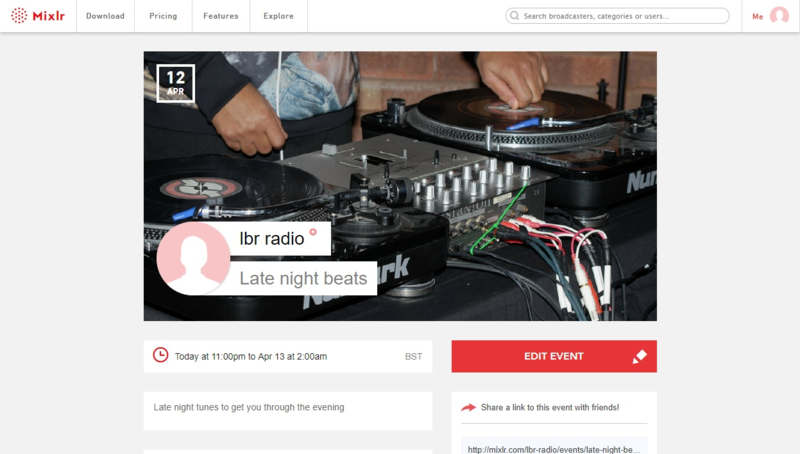 This article will walk you through how to share your Mixlr events. 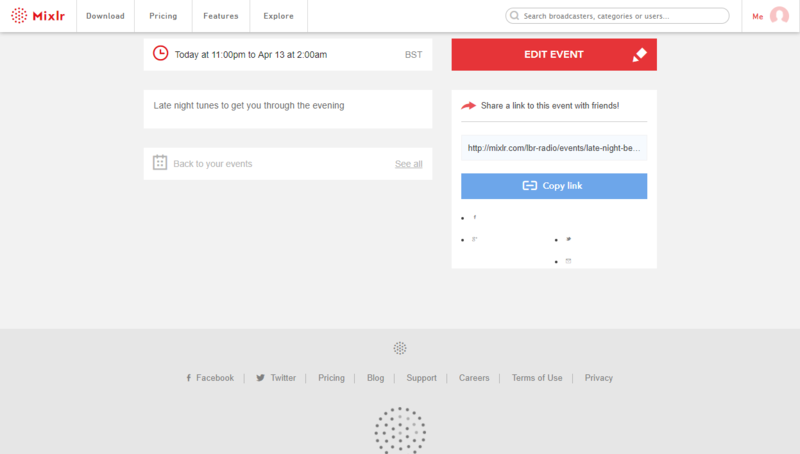 To share your event on Facebook, Twitter and Google+ select the icon for the appropriate social network within the share panel. This will open a new window for the relevant social network (you will need to sign in with the relevant account) from which you can easily share to your timeline or feed. To share a link to the event you can click on the “copy link” button within the share panel which will copy the link to your clipboard (please note this is only available in browsers that support flash). Alternatively you can select the url in the share panel and manually copy the link to your clipboard.